We recommend getting a tri-fold display made of either foam core or corrugated cardboard, in a neutral color. Avoid using things with a lot of small text on your display. These pieces are difficult to read from a distance and better-suited for use as hand-outs. Be imaginative when putting your display together. E-mail sign-up sheet: ask people if they’d like to sign up for V-News, our free monthly newsletter. If you have a tablet or laptop, consider bringing it – you can run a slideshow or have VeDA’s website open. 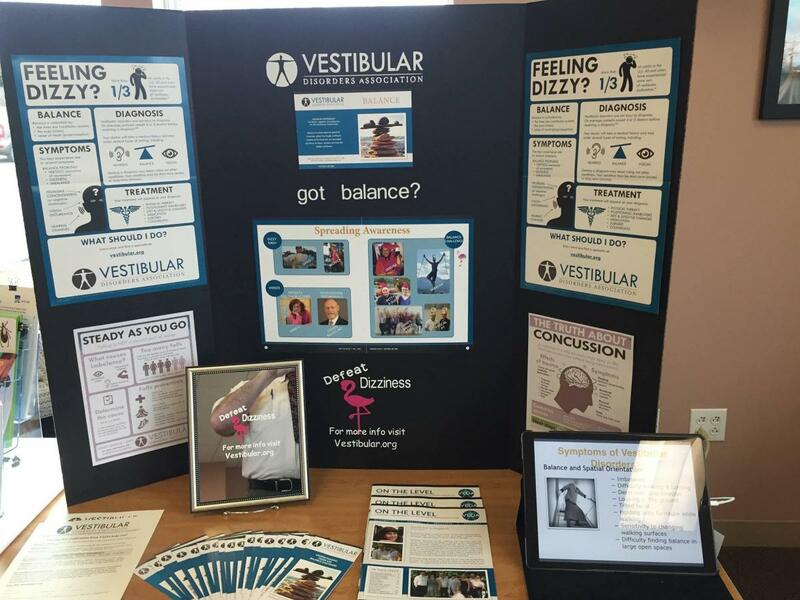 VeDA has some pre-made presentations: Overview of Vestibular Disorders and Concussion and Dizziness: How are they Related? Click here to download a pdf of this publication.